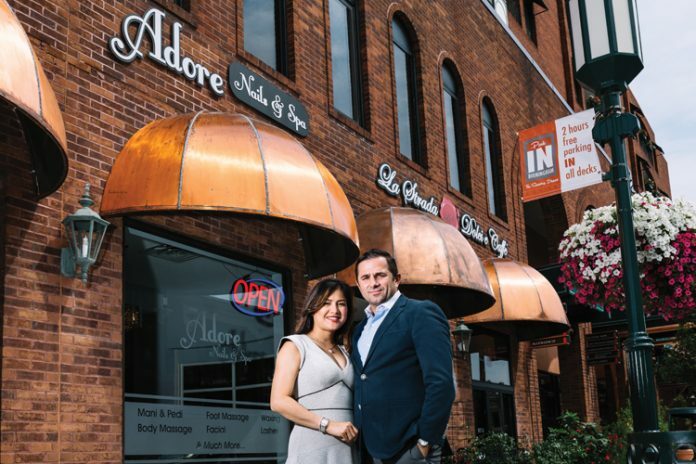 What’s life like for a husband and wife who own side-by-side businesses — in this case, a European-style bistro and a nail salon, respectively — in downtown Birmingham? While some couples might find such close quarters between home and work an untenable proposition, Zharko and Dalis Palushaj (he’s from Albania, she’s from Cambodia) say they developed a system where each offers suggestions about improving their respective operations, but they don’t delve too deep. After La Strada opened in November, the couple says they each played the role of a customer. “I will say to her, ‘Here’s what I see going on, and here’s an idea that might make things better,’ ” Zharko says. “Or we might look at what the other is doing with marketing, promotions, or advertising, and offer suggestions,” Dalis says. “The other thing we do is close on Monday, so we can spend the day together. When they say marriage is a shared relationship, I don’t think they had us in mind.